Taking Stock of Cold War Research Interview series. This interview, conducted by Dr. Klaas Voß (Hamburg Institute for Social Research), is part of a seven-part series on the evolution of Cold War research — Taking Stock of Cold War Research. The interview initially appeared on the Berlin Center for Cold War Studies website and on the Military History Portal. “Are we currently experiencing a new Cold War”? This question has recently been discussed in the media. Would you agree? I do not believe that we are currently experiencing a new Cold War. We are experiencing a new period of hostility and profound mistrust between Russia and the West as a whole, but especially between Russia and the United States. However, this period lacks two key characteristics that were integral to the Cold War—the Communist ideology, which stipulated class struggle as a basis for international relations, and the geostrategic superpower conflict, in which the Unites States and the Soviet Union enjoyed rough parity by the early 1970s and treated each other as the main global rival (giving them a status of equals). I think that defining this period as a new Cold War might focus one’s attention on the familiar factors discussed in the extensive Cold War historiography, but miss the new dynamics of the new period, such as nationalism and terrorism, role of non-state actors, new threats, and the non-ideological, corporatist nature of Putin authoritarianism. Also, in some aspects, this new period might be even more dangerous. What deeply concerns me personally is that in Russia this new period differs from the Cold War in at least one important way—the rejection of Western liberal values by a large part of Russian society, and the genuine anti-American feeling, which is only partly due to the successful official propaganda. What have been the most important trends and developments in Cold War research since 1990? Which new areas were explored in the last 25 years? In my view, the single most important development has been the multilingual multiarchival research, which became possible in the 1990s with the opening of the Eastern bloc archives. Hopefully, this kind of research is becoming the norm in the Cold War studies. Another important feature is collaboration between scholars from different countries, most importantly across the former Iron Curtain, which, unfortunately, is becoming less frequent now than in the 1990s. Another important new feature of the Cold War research is the focus on the Third World and regional and societal causes of Third World conflicts. In the 1990s, there was a brief period in which former Soviet/Russian archives were relatively accessible for historians. Was this window of opportunity used wisely – and how did it change the field? I personally benefitted greatly from the opening of the Soviet/Russian archives. 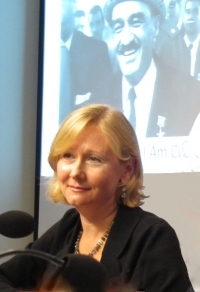 I think it changed the field profoundly by allowing both Western and Russian historians to see the Cold War from the perspective of the Soviet bloc and therefore enabled historians and general public to practice empathy and more rigorous research. This opening resulted in real breakthroughs in many important areas of research, the best example being the history of the Cuban Missile Crisis. At the time when the Soviet archives opened, the researchers (at least most of them) working in them did not think in terms of window of opportunity, we thought it was the new normal. Had I known that the new openness would be temporary, I would have spent every day of my summers of 1993 and 1994 in the archives and copied as much as possible for future research. However, some Western researchers and organizations with unlimited funds contributed to the commercialization of the Russian archives and to the eventual closing of the window of opportunity. Nonetheless, due to efforts of many individuals and organizations, a great number of Soviet documents are now available in the West, such as Fond 89 at the Hoover Institution. In terms of actors, geography, and time periods, what are the present “gravity wells” in Cold War Studies? As for actors, I noticed an increasing significance of Third World actors, non-state actors and a growing interest in both societies (as a whole) and individuals. Geographically speaking, Europe, East Asia and Africa seem to capture the interest of scholars. There is currently a strong interest in the end phase of the Cold War and the 1970s. 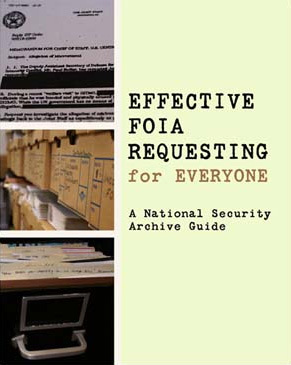 Effective FOIA Requesting for Everyone – A National Security Archive guide. The National Security Archive has become famous for its constant battle for the release of new documents under the U.S. Freedom of Information Act (FOIA). How would you compare the release policy in the U.S. to that of other countries? How would you describe the situation in Eastern and Western Europe? In the United States, the FOIA is imperfect but it does follow an established practice and consistent effort over the years, leading to positive results in most cases. For me, the most important feature of the FOIA is the assumption that an individual has a right to see the document of interest to him or her regardless of how recent it is (with some exceptions) unless there are still specific grounds to classify it as secret. As far as I know, in Western Europe the time limits for declassification remain relatively strict and the declassification process for documents regarding foreign policy and security is more complicated. In Eastern Europe, the archives retained some of the openness that resulted from the end of the Cold War. In Russia, however, declassification process has ground to a halt, many documents were reclassified, or access to them is limited to privileged researchers and the procedure of working in the archives is often unnecessarily complicated. At the same time, there are very important collections that have been recently added to RGANI [Russian State Archive of Contemporary History] funds, such as the Brezhnev, Andropov and Chernenko collections that are completely open and accessible to researchers. The irony is that if one reads the Russian FOI law, on paper it looks even better than the U.S. law, but it simply does not work, especially as it pertains to documents of the Soviet period. Which advice would you currently give to scholars who want to focus on Soviet political, diplomatic or military history during the Cold War? What are the best chances for realizing a document-based book project in this field? First of all, learn Russian if you are serious about document-based research. In addition to the ability to read documents and conduct interviews, it will bring you a lot of positive encouragement and help from Russians who you encounter on the way, even archivists. Go to Russian archives and spend some time (be prepared to spend much more time than you would expect to spend in Western archives) finding out what is available. Show some persistence, you will be rewarded. There is a general notion in the West that the Russian archives are closed; that is not true. Although access to military and KGB archives is extremely limited, there are gold mines for a serious researcher available at RGANI, GARF [State Archive of the Russian Federation] and RGASPI [Russian State Archive of Socio-Political History]. Do not forget to check online descriptions of collections—especially helpful (down to individual file level and searchable) for GARF. Foreign Ministry archives are quite cumbersome (no open opisi [finding aids]) but very rich for most of the time period of the Cold War. Check Russian documents publications—an impressive number of them are coming out every year, some as a result of collaboration between Russian archives and Western academic organizations, the Yakovlev Foundation and publications by Russian academic institutes. Do not overlook private archives and collections, such as the Gorbachev Foundation. Make sure that you checked Soviet documents available in major archival collections in the West, such as the Hoover Institution and the Harvard Cold War Center. There are also great oral history materials, they are especially important for the period of the end of the Cold War. If you do not yet have the workable level of Russian, you can start with translated documents such as the impressive collection of the Cold War International History Project and electronic postings and published volumes by the National Security Archive. And finally—come visit the National Security Archive—we have a great collection of Soviet and Russian documents and we will do our best to give you some good advice on your topic. In some research circles (including the Wilson Center and recent document releases by the National Security Archive), there seems to be a renewed interest in Cold War nuclear history and strategy. Could this trajectory prove to be of broader significance to the field? I would think so because nuclear weapons defined so much of the Cold War realities and because the story of nuclear weapons is so relevant today. Development of nuclear weapons certainly contributed to the origins of the Cold War and to the intense mutual suspicions and fear on both sides of the divide. In addition to being the basis of the Cold War balance of power, nuclear weapons had an immeasurable impact on the psychology of the Cold War. Besides, it is worth studying how even in the Cold War both sides found a way to cooperate in limiting and ultimately reducing these weapons and engaged in comprehensive multi-year negotiations where participants developed better knowledge and understanding of the other side. This nuclear learning later contributed to the end of the Cold War. Lessons learned from Cold War crises and these negotiations are applicable today in the world where nuclear weapons became more widespread and arguably more dangerous. Which new impulses can we expect in the next few years from research conducted in former Communist bloc countries? And are there any hopes for a better availability of Russian documents? One is listed above—more interest on nuclear history. Another is the focus on the society, various groups below the political leadership level that were important actors in the Cold War. Also an important impulse is comes from the small actors, small states, who were often perceived to be just puppets of the superpowers, but in fact had their own interest and roles. I think there is hope for better availability of documents on the Russian side but these might be coming in official publications or in focused declassifications that are made on state initiative for certain periods and topics of Soviet history. Even though it does not fit into the Cold War studies field, I would like to emphasize the subject of utmost importance in the contemporary history of Russia and the former Soviet states—the early post-Cold War years—the Russian experience of 1990s and the role of the United States, including the denuclearization of the FSU, the economic reform, and the expansion of NATO. Coming full circle: How might the current political situation (Ukraine, sanctions etc.) affect Cold War History in Eastern European countries and in Russia? Coming full circle is a good formulation. There is a renewed interest in history in Russia now. It is fueled to a large extent by the nationalist agenda. Study of history was hailed by the Russian president as the most important of sciences. We now see history used as a political weapon more and more often, especially after the start of the conflict in Ukraine. There is an overwhelming number of pseudo-historical publications filling the shelves of Russian bookstores. Cold War research is popular in Russian universities. I can envision more post-Cold War revisionism in Russian Cold War studies with themes such as the U.S. drive to global superiority and attempts to weaken Russia and deny it legitimate spheres of influence to be reflected in more serious, document-based dissertations and monographs.